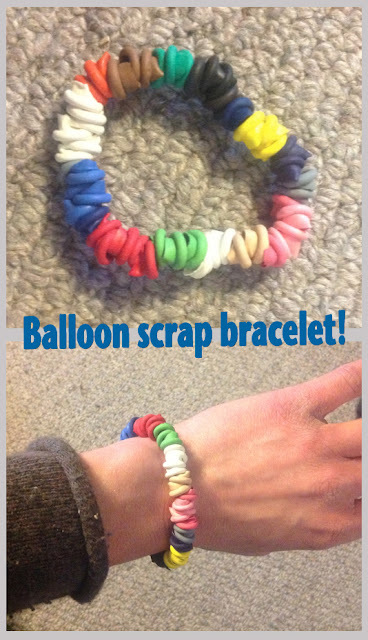 I have accumulated a lot of balloon scraps from my balloon modelling with Come To My Party over the last few weeks so I thought I'd make myself a little bracelet with the ends! So here it is! Just elastic and balloon ends!